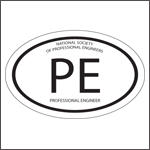 The PE Institute has a catalog of live educational events, webinars, and conferences for the professional engineer. As engineering disciplines become more specialized, continuing education becomes more crucial to managing a rising career. Online webinars and conferences can help PEs stay current on a variety of topics. All events provided by NSPE, its state societies, and partners are available to members at a discount. PE Institute webinars are an effective way to engage engineering professionals on crucial educational topics and emerging issues. These sessions provide participants with best practices, effective solutions, and quality resources that help them advance in their careers. » Complete a short form for consideration and learn more. These courses are available for free to NSPE members to conveniently view from the comfort of your home or office. Viewers may earn credits by viewing the webinars and passing a quiz. Upon successful completion of each session quiz with a passing score of 70% or higher, the quiz taker will receive an attendance certificate with the appropriate credits (PDHs) earned for that session. PDHs are recognized by most U.S. states including Florida. All available courses include the opportunity to complete a quiz that, upon successful completion, will earn you an attendance certification that indicates the appropriate Professional Development Hours (PDHs) earned. PDHs from the NSPE free courses are recognized by most U.S. states including Florida. If you're a PE or on the path to becoming licensed, you're probably eligible for membership. Join today and save when you register for courses.